There’s always the possibility that something could go wrong when it comes to running a business. One of the best possible examples would be incidents which could possibly hinder any of the business’s functions or harm those who are in the workplace. These are things that you want to make sure never happens. 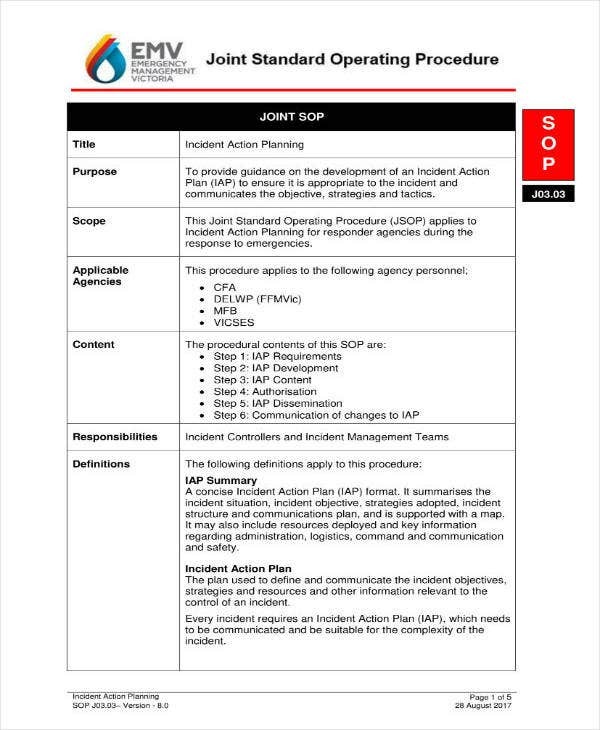 You can also read incident action plan templates. So what you’ll want to do is come up with a sample plan that will help ensure what you know what these incidents are and what your employees will have to do if ever they happen. Which is why this article is going to teach you all that you need to know regarding how you will go about in creating an incident action plan. 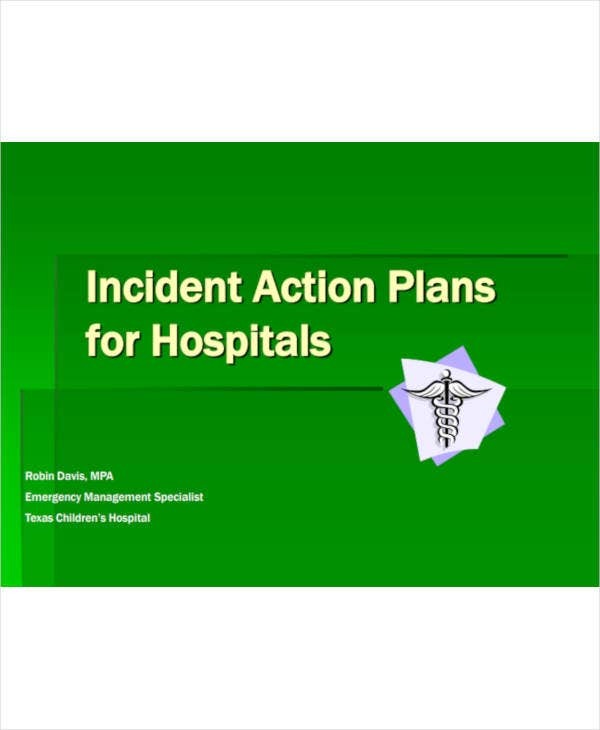 What Do You Gain from an Incident Action Plan? While the most obvious benefit from making one is that you’re able to learn what it is that has to be done in the event that a particular incident happens, it still has other benefits if you were to make one that’s very effective. 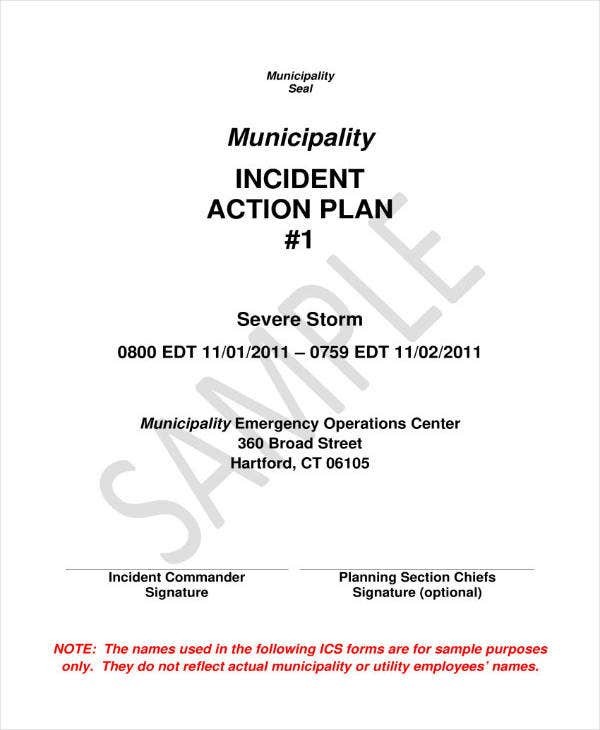 You may also see emergency action plans. There are times where your employees might not remember what they have to do in the event that an incident does occurs. 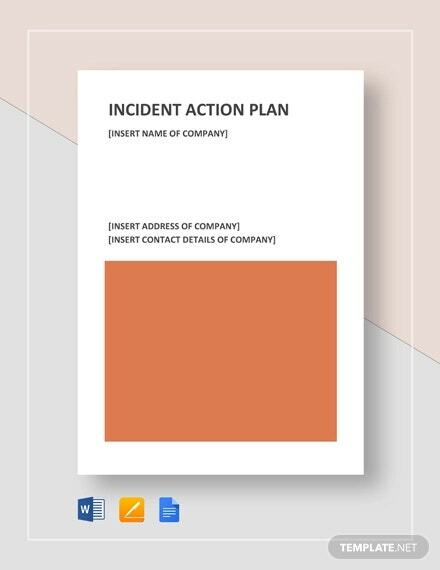 So if you can come up with an action plan sample where you’re able to state specifically as to what they have to do, then you won’t have much to worry about when it comes to your employees knowing what they need to do should these incidents happen. You have to make sure that you list down the different incidents that could occur as your employees are working for your business. By gaining this information, they’ll be prepared and won’t be caught off guard should they actually happen. You may also see event action plans. 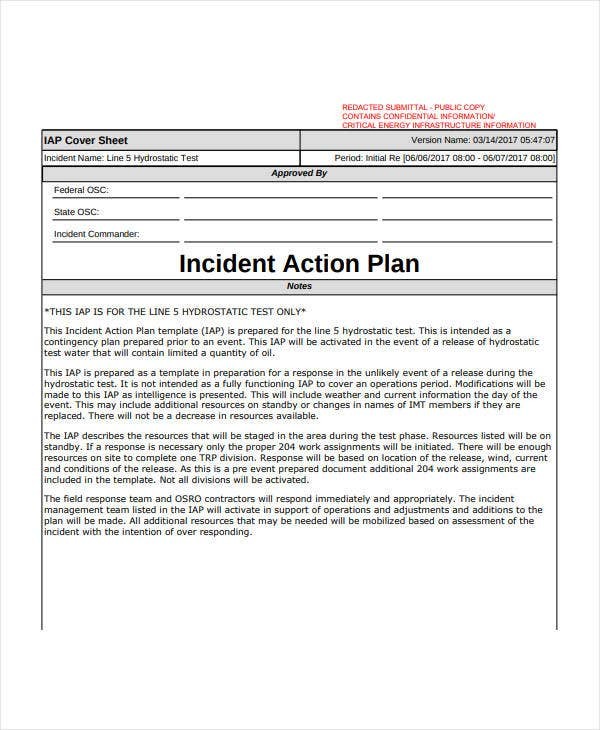 The action plan should contain all the procedures regarding what the employee has to be done in the event that an incident does occur, making it so much easier for everyone if they know who they should go to when it happens. You may also see school action plans. 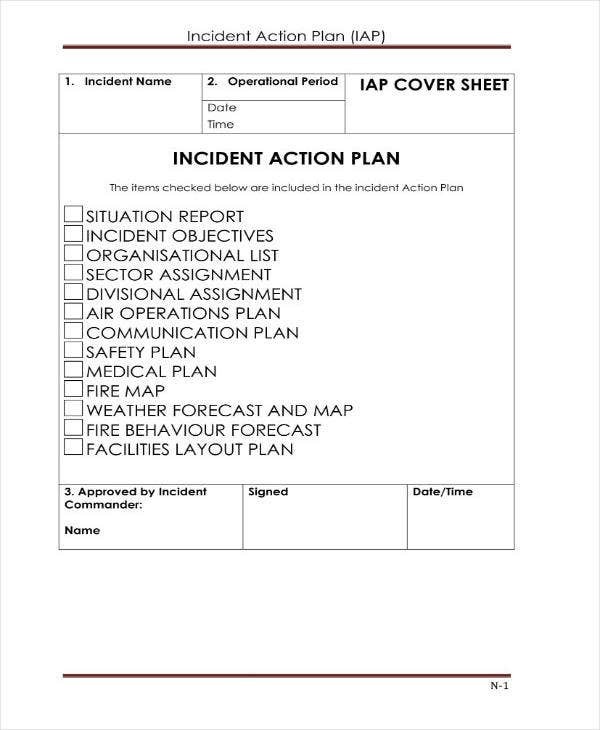 Now that you’ve already learned what you can stand to benefit from making an incident action plan, the next step is for you to learn how to actually create it. While it’s possible that certain incidents can happen in the workplace, it’s important that everyone knows how to deal with them should they actually happen. You have to ensure that everyone is prepared for these incidents so that there won’t be problems when it comes to handling them. You may also see developing a business action plans. With that being said, here are the steps that will allow you to create your business’s own sample incident action plan. The best way to start things off is by knowing the potential dangers that could happen. By knowing what they are, you can then come up withe ways in which you are going to deal with them. So the first thing that you will have to do is to conduct a thorough assessment on all of the possible dangers within your business. You may also see sample strategic action plans. This means that you will need to take a look into all of the different departments and what potential hazards are present. Be sure that you cover everything as thoroughly as you can so that you can make a list of what kind of incidents could occur. Cover everything to ensure that you can plan for all the things that could go wrong. You may also see training action plans. You want to make sure that you have the right people that can help you deal with these problems should they ever occur in the workplace. You’ll need to find someone who has the skills and knowledge that will ensure that these incidents are taken care of in the quickest and safest way possible. You may also see word action plans. So what you’ll need to do first is assess your current workforce to find these people who you think are capable enough of handling these incidents should they appear. Give them the appropriate roles so that they’ll know what to do. You may also see student action plans. If there isn’t anyone in your current workforce, then you can always create a job opening to help you find the best possible person to help you. Just be sure that you’re able to create an effective hiring system where you can conduct proper interviews, background checks, and when where you can choose the best possible candidate. You only want the right people for the job so you want to take your time. When you’ve understood what incidents could take place and who’s set to deal with them, the next step is to ensure that everyone knows what they have to do to ensure that these incidents are handled properly. You should always come up with prevention methods and explain them in the most detailed manner possible because you have to make sure that everyone has a step-by-step guide on what has to be done should they happen. The more information they’re given, the easier it will be for everyone. You may also see smart action plans. So think about all of the possible things that could happen. Now, how should everyone react to them? Think about the best prevention methods that are easy for everyone to follow, and ones which ensures that you and your employees are safe from any of those incidents that could potentailly cause physical harm. You may also see project action plans. 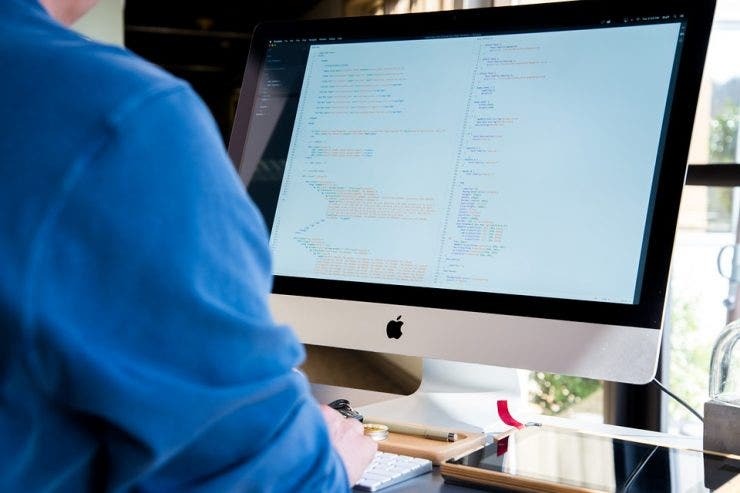 If you’re going to prepare to handle all of the possible incidents that could occur in the workplace, then you have to make sure that everyone has everything that they need. You may also see team action plans. So think about what kind of tools, equipment, or materials will come in handy should any of incidents occur. 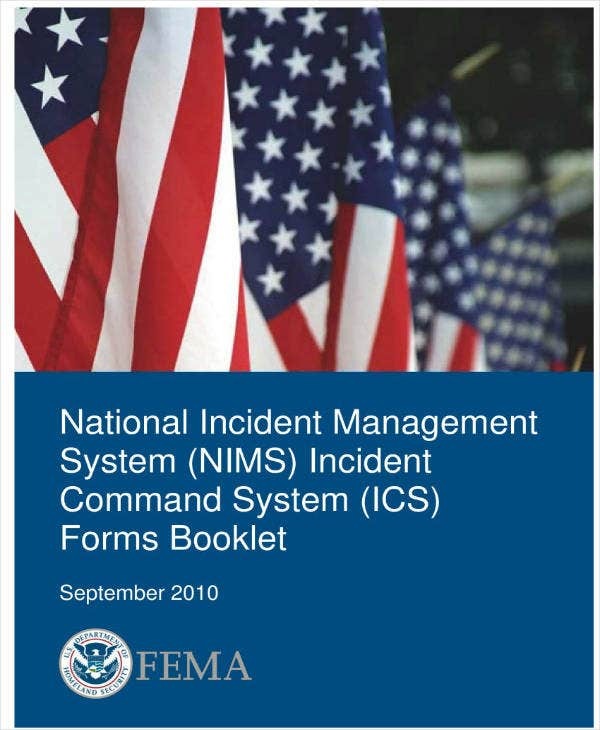 These will all be determined by the types of incidents, meaning that you will have to look into all of them. You may also see performance action plans. It’s best that you purchase what you need rather than just renting them. You’ll never know when they might happen so it’s good to always have them ready for use. 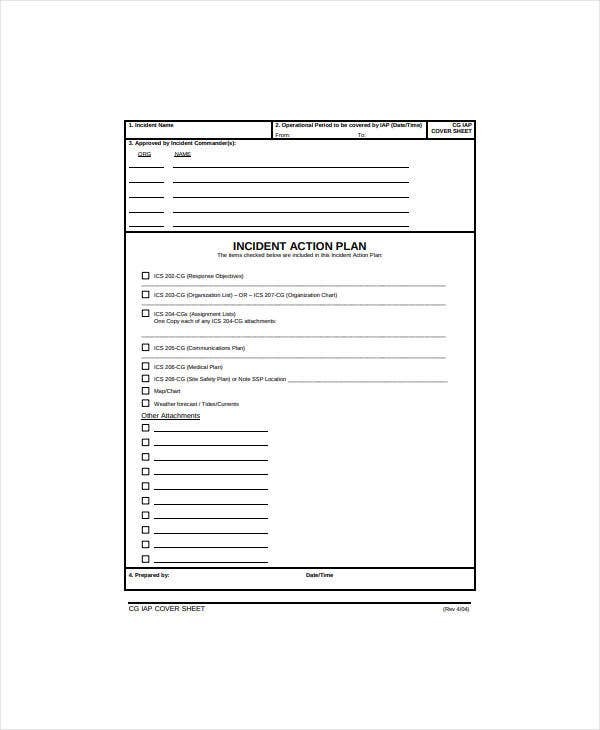 You can also read corrective action plans. You want to keep things as organized as possible for when everyone has to deal with all of the different problems that could happen. So what you’ll want to do is come up with the different procedures that need to happen should any of incidents occur. You may also see free action plan templates. What your employees will have to do and how they’re respond will depend entirely on the severity of the incident. And you’ll also need to point out things like who they should report to and how they’re going to make these reports so that you can keep track of everything that’s going on. You may also see allergy action plans. There are minor incidents in which some employees can handle on their own, then there are major incidents wherein they’ll require the help of outside sources or those who you have tasked to handle those types of incidents. Just make sure that you’re clear about what incidents are which type when you’re writing down the procedures as to how your employees will deal with them. You may also see business action plan templates. Make it as clear as possible so that you won’t have to worry. Remember that you’ll want to gain as much information as you can about these incidents. So should they ever occur, you want the people who have dealt with them or were a part of preventing these incidents from getting worse to create a proper report. The report will come in very handy as it can give you the details of what happened, how it happened and so on. 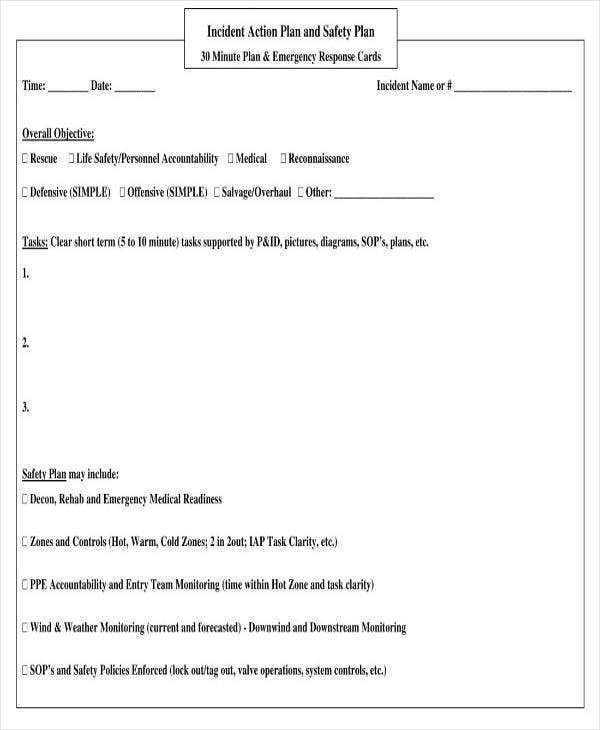 You may also see employee action plan templates. So you’ll want to state that the full name of the person who reported the incident must be written in the document. Then you must explain that other details such as who were present during the time of the incident, the exact time when the incident happened, what caused it, what was done in order to prevent it and so on. The information you get can help you decide what needs to be done or what you should change in your action plan to ensure that it doesn’t happen again. 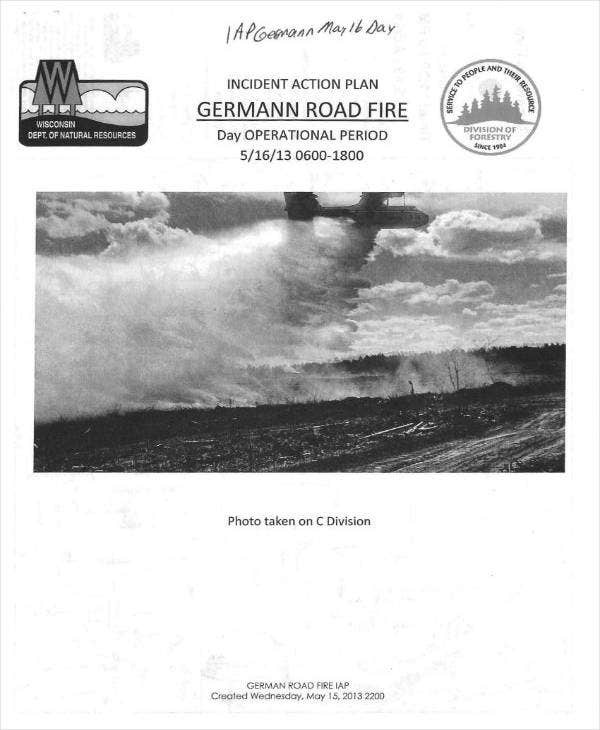 You can also read community action plans. You won’t be able to prepare for everything that could happen as there’s too many factors for unpredictability. So you have to state in your action plan that everyone should be willing to adapt to the situations they’re in so that they can handle these incidents in a calm and professional manner. Doing so will help keep things organized and prevent your business from being plunged into chaos should certain problems arise. You may also see daily action plans. In the event that you would like to learn how to create other types of action plans, then the best thing for you to do is to go through our site. It has many different articles that contain important information that can help you with what you need. Just be sure that you go through these articles thoroughly so that you can make effective use out of whatever they’re able to provide. You may also see affirmative action plans.